With all of the legal battles that Apple is involved in, at least one is over. 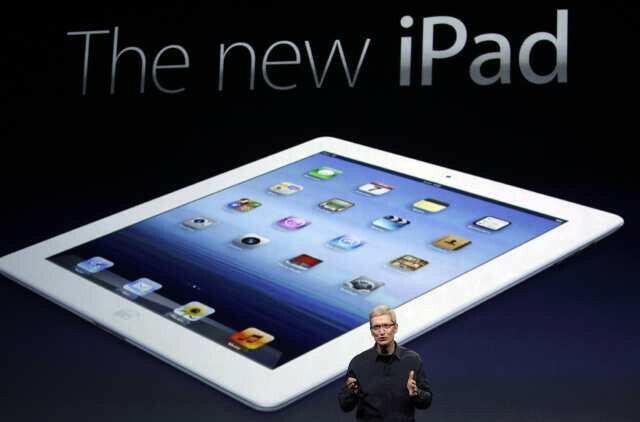 The Cupertino based firm has agreed to pay $60 million to Proview for the rights to use the iPad name in China. The agreement was signed last week and confirmed during a court hearing on Monday morning. It will take as long as two weeks for the "iPad" name to be officially moved over to Apple by the Chinese national trademark authority. According to Mr. Xie, a lawyer at the Grandall Legal Group in Shenzhen, China, which represented Shenzhen Proview Technology, Proview considers the $60 million payment to be o.k., but not "large". That makes sense considering that Proview was seeking $2 billion dollars originally. The testimony in the cased revealed that Apple had hired British attorneys to set up a company, IP Application Development, that would buy the iPad name around the world. Apple paid just £25,000 to Taiwan based Proview Technology for their rights to the iPad name in various countries. When Apple launched the tablet world wide with great success, Proview said that Apple had purchased the rights to the iPad name from Proview's Taiwan branch which did not include rights to use the name in China, which were held by Shenzhen Proview Technology. The latter company sued Apple for trademark infringement inGuangdong provincial court. At various times, the Chinese court ruled that Proview owned the trademark in China, a U.S. Court threw out Proview's attempt to move the battle to the U.S. legal system, and Proview's creditors claimed that they owned the trademark. Now, with the announcement made by the Guangdong High People’s Court in Guangzhou on Monday, the litigation is over. And yet courts are fining Apple only $2.29 million for falsely advertising their iPad in Australia. If a company can just blow $60 million to buy a name then why are the courts only fining Apple a few million? Why do you care how much Apple gets fined? Because you can't just give them a slap on the wrist for breaking the law. To Apple $2.29 million is nothing. Hahaha very good news... they had to pay twice. We all care, @ are happy they paid a big amount. Good. Looks like first time they paid. Normally they steal. What does not belong or they invented... kill it kill that evil masters In disguise rooten fruit. Because things move slow over at the USTPO. Google filed for the patent 2 years ago. Another ignorant fandroid. What?! Apple was wrong??? Say it ain't so! All they do is pay when something isnt theirs. Now we know why they wanna ban the Nexus. They need the extra money from customers to pay for sh*t like this when all they had to do was change the name slightly. apple needs money? lmfao i like your humor.